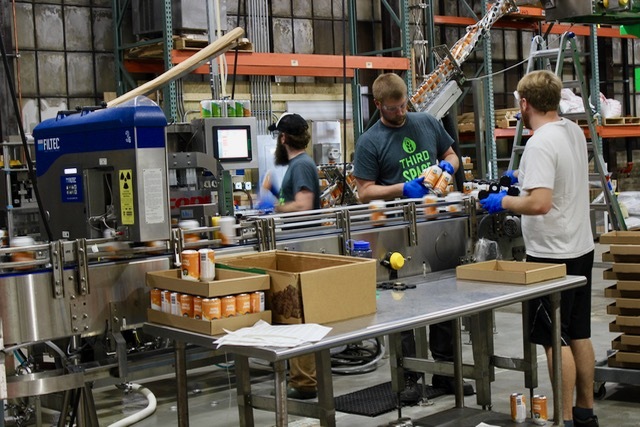 When Kevin Wright and Andrew Gehl decided to move back to their home city of Milwaukee to start a brewery, they had no idea what to expect. From the beginning, Third Space Brewing’s mission was to introduce Milwaukee to styles of beer that weren’t really being showcased in the market. For them that meant taking inspiration from West Coast brewers – whose styles are known for their big, bold flavors – and putting it into beers that are balanced and drinkable. And their growth has been impressive. Just short of a year after opening, making use of little more than great social media and self-distribution, the brewery, 1505 W. St. Paul Ave., is releasing hundreds of cases and kegs each week. Restaurants and bars have embraced their product, and their beer is a featured offering at Miller Park. In fact, Third Space is on pace to sell just over 2,000 barrels in the first year. In celebration, Third Space will be hosting a first anniversary bash on Saturday, Sept. 16. The event, which takes place from noon to 10 p.m. will feature eats from food trucks including Lumpia City and Taqueria La Guacamaya and live music from Life in a Tree beginning at 2:30 p.m. and Category X at 5:30 p.m. Beer will be available for purchase throughout the day, with a significant amount of the proceeds going to benefit the Juvenile Diabetes Research Foundation. But, the belle of the ball will be “You’ve Said It All” a new release they’re describing as a Wisconsin IPA. The beer showcases the flavors of four varieties of hops: Galaxy, an Australian hops with big, juicy tropical fruit flavors; Denali, a Yakima Valley hops that provides high notes of pineapple; and accents from both Simco and Cascade hops, which provide a backbone of citrus, pine and floral notes. But, according to Wright, it also presents a balanced flavor not found in all IPA’s. The solution: add distinctly Wisconsin ingredients like corn, wheat and lactose, a non-fermentable sugar that offers up a subtle sweetness and creamy body without adding heaviness. The beer will be released on Sept. 16 and will be available both on draft at the brewery and in retail four-packs of 16-ounce cans. 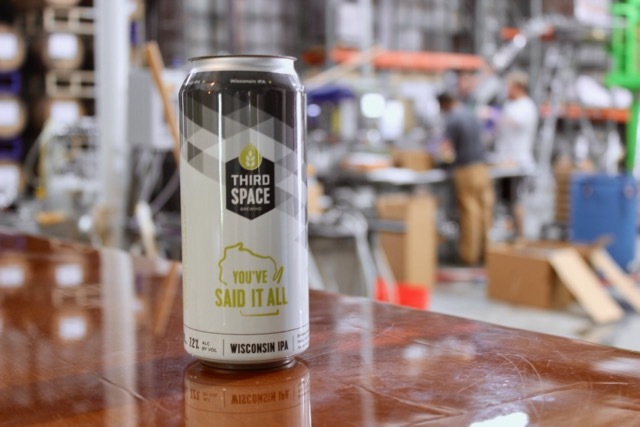 “You’ve Said It All” IPA is just the tip of the iceberg for Third Space, who will be releasing a number of new canned brews over the next year. Releases include Unite the Clans (September), Mocha Java (October), Happy Happy (November), Acres Edge (January), Unbridled Enthusiasm (spring) and That’s Gold and Java Blanca (late spring). Four barrel-aged beers are also due to be released this fall and winter. The first, a bourbon and rum-barrel aged candy bar porter that’s yet to be named, will be released Halloween night. The next, a barrel aged version of Liquid Layers, will be the brewery’s Black Friday release. And two more will follow in December and March. And with that … well, I do believe we’ve said it all.